When a holiday rolls around, there are a lot of things on your mind. If you are celebrating the holiday, you may be trying to figure out what you need to do to prepare. If you know the holiday is a big sale day, you might be looking for the biggest deals, sales and possibly even freebies surrounding the holiday. Saint Patrick’s Day, a holiday that originated in Ireland, is a holiday that not many people associate with deals, but they should. If you are looking for something St. Patrick’s Day-themed, Amazon may be the place to look. Through Friday, March 18 the online retailer will be offering deals on St. Patty’s Day-themed items. For instance, you can get up to 49 percent off Lucky Brand St. Patrick’s Day shirts. 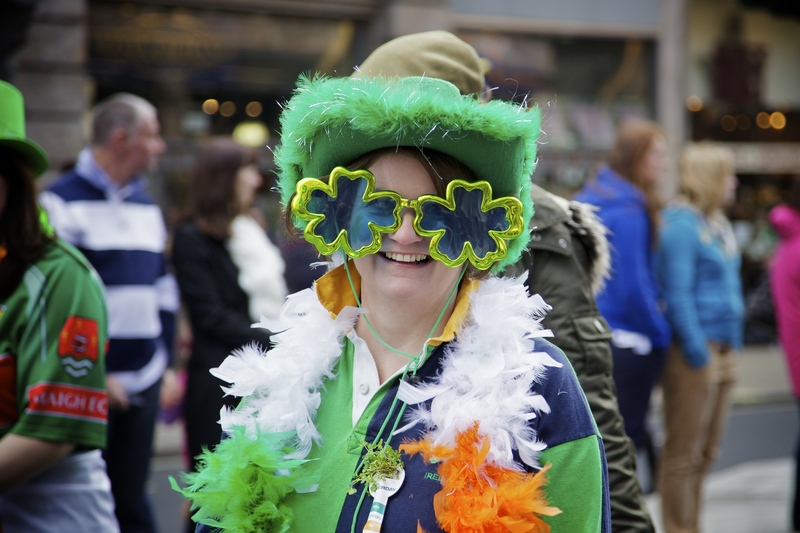 You can also get St. Patty’s Day costumes and other accessories 70 percent off through March 31. Oriental Trading Company is a party and craft store. They will be offering 60 percent off their St. Patrick’s Day items. You can buy discounted supplies for your last-minute party or even buy party supplies for next year and save a few bucks. It might seem odd to give flowers on St. Patty’s Day, however, flowers are a nice surprise anytime. If you can save some money on them, you should. Through Thursday, March 17, you can save 25 percent on a bouquet of flowers through Teleflora by using promo code AFLSPADDY25. Ties.com will also be offering a St. Patrick’s Day deal for its customers. You can get free shipping and 15 percent off by using the promo code FEELINGLUCKY. The company sells a lot more than just ties, so if you are looking for cuff links, socks or other men’s apparel, check them out for their St. Patty’s Day sale. Just about everything green or shamrock-covered is on sale at Kohl’s. You can get huge discounts on things like “Irish” mugs, pillows, St. Patrick’s Day-themed shirts and other apparel as well. Rachel Ray’s store will not be offering any specific St. Patty’s Day sales, however, it will be offering a March Mania Sale. The store is selling some of its items up to 79 percent off. Pier 1 will be offering a Spring Dining Sale. You can get up to 20 percent off indoor and outdoor dining furniture, drinkware, flatware, napkins and other dining needs. Lowe’s has also begun spring sales. The company is helping its customers get a kick-start on spring cleaning. Through March 21, the store will be having its Kobalt Serious Savings Event where customers will get up to 30 percent off boxes and other storage containers, including tool boxes. Bar Louie will be holding a two-day St. Patty’s Event. You can get a $4 green beer and $5 Jameson shots at most Bar Louie locations on March 17 and March 18. People at Brio Tuscan Grille can receive $10 off for those who buy two entrees of $8.95 or more. Patrons of Fox & Hound bar can get $5 Irish Car Bombs and Jameson shots on St. Patrick’s Day. Customers at Friendly’s restaurant can get a Premium Mint Ice Cream Fribble, ice cream sandwich or kid’s sundae half off on St. Patrick’s Day. IHOP has been known to give its customers some pretty great deals. Guests who wear green will receive one short stack of buttermilk pancakes for $1 from 7 a.m. to 7 p.m. on St. Patrick’s Day. If you visit a Sonic on St. Patty’s Day, you can receive 50 percent off your milkshake. Restaurants and retailers, among others, will be offering great deals on St. Patrick’s Day. If you are looking to get a great deal, put on your green and head out. Other deals include up to 54 percent off Six Flag tickets, enjoying specialized St. Patty’s Day menus, deal on ice cream and food as well as getting great clothing deals. Of course, you aren’t really getting a deal unless you already planned on buying the item, so be smart and only buy things you’ve been needing/wanting anyway.